GALLIPOLIS — International gold medalist juggler Matt Jergens has been making audiences laugh for more than 18 years. Whether performing on five-star cruise lines, in major theme parks, or at events across the country, Jergens has performed for audiences with his high-energy show. 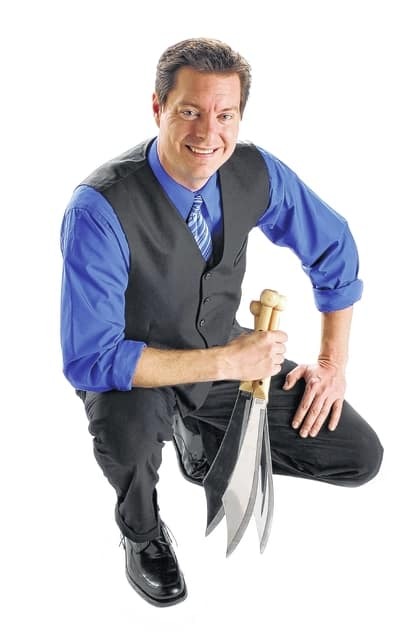 On Sunday, July 19, Jergens will bring his performance to Gallia County as Bossard Library will host his program for all ages beginning at 2 p.m.
Jergens’ show involves routines that showcase the talents of one of the top jugglers around. He fills the stage with flying pins, spinning plates, a tall unicycle and a multitude of other props. He doesn’t forget the most important part of the show either — the audience. There are many opportunities for volunteers to come up and help out with a trick or a stunt. Then, once they are successful, Matt sends them back to their seats looking like the stars of the show. If interested in learning more about Jergens’ show, visit his web site at www.MattJergens.com. There is no admission fee for this family program provided by Bossard Library. For more information, contact the library at 740-446-7323.